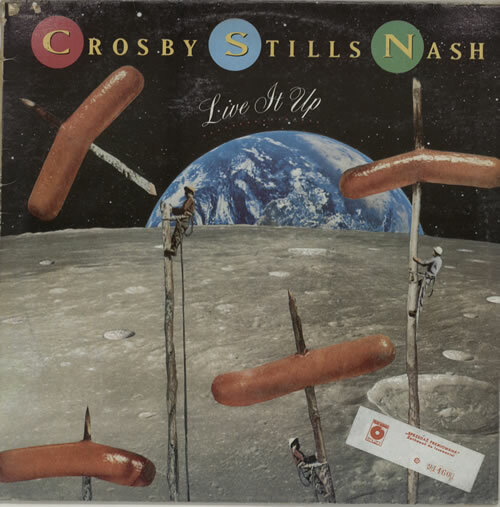 CROSBY STILLS & NASH Live It Up (Rare 1990s Polish Polskie Nagrania 10-track vinyl LP, housed in a picture sleeve with picture/lyric insert. The sleeve is displaying some light edgewear and there is a small tear on the reverse, but the vinyl is in superb near mint condition. A nice copy of this hard to find East European pressing SX2939). 4. Haven't We Lost Enough? or visit our Crosby, Stills & Nash image gallery.